Cleaning is what we do best, and with our extensive range of cleaning services in London, you’ll be joining a long list of over 600 satisfied clients who use our services. From small offices to large enterprises, our commercial cleaning services are tailored to meet your individual needs. This commercial cleaning company clean for many sectors across London, so no matter what type of company you are, we can clean it. All of our office cleaners are trained to the highest standards to deliver quality results every time. Our services are supervised by your own dedicated cleaning manager meaning that the quality of our services will never fall. We provide a wide range of cleaning services to our clients, from daily office cleaning to the expert window and floor cleaning. We offer morning cleaning, evening cleaning or we can also clean while you go about your work. Our services are tailored to your needs and we are very flexible with our cleaning service. 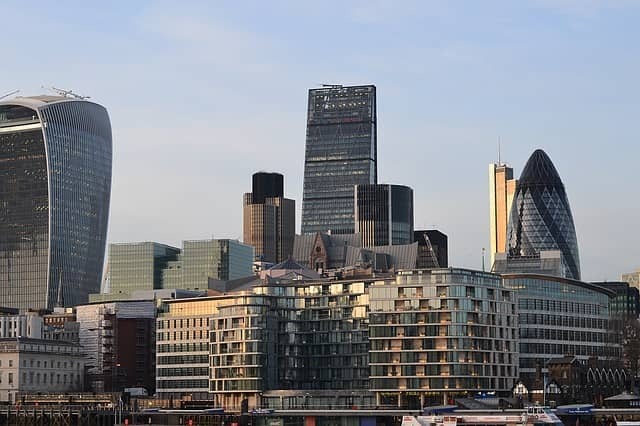 Our commercial cleaning is the best around London and our growing list of clients means that we have the experience needed to provide you with the best cleaning services in London. We are a cleaning company that has over 600 cleaning contracts all over London. We clean offices in central London and also we provide commercial cleaning services to companies in outer London. You can view our area of operation on the map and if your company is located within the M25 then we will be happy to provide you with the best cleaning in London. "We at Perkins Refrigeration Ltd have used Regional Services for our cleaning for many years. They have in that time been an excellent cleaning company to deal with. They are regular, thorough and very good value for money. Being in the building trade at times our office looks pretty messy, but every morning the office looks clean and tidy. Thank you and your cleaning operatives. We would without hesitation recommend Regional Services to all as an excellent cleaning company." We are the best cleaning company in London and with an ever-growing list of over 600 commercial cleaning clients, you are sure to find the cleaning company for you. Fill out the form to find out how our commercial cleaning can benefit your company. This quote is no obligation however should you like what you see and want to change from your current cleaning company, we make the switch easy by doing all the work.